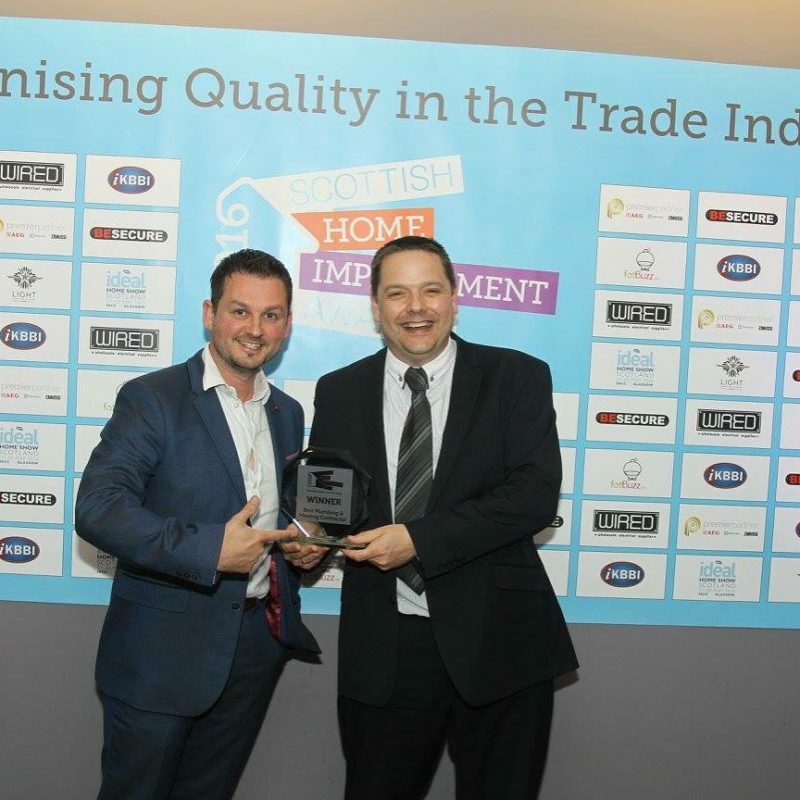 We are really pleased to confirm that LW Haddow Plumbing, Heating and Electrical was crowned as Scotland’s Best Plumbing and Heating Contractor 2016 at the recent Scottish Home Improvement Awards at a fabulous ceremony in Glasgow. We’re also delighted to announce that our sister company, The Bathroom Company, was Runner-Up in the Best Bathroom Company 2016 category. The team at LW Haddow were made finalists after a public voting period earlier in the summer and winners were evaluated on both company practices and customers’ reviews and feedback. The Scottish Home Improvement Awards aim to celebrate the very best organisations supporting home improvements across Scotland. Our family owned business has been providing a comprehensive plumbing and heating services across Scotland for businesses and homeowners for over 35 years. In addition to traditional plumbing and heating services, the team also provides electrical, leadwork and a range of renewable energy solutions including biomass. This entry was posted in Awards, News and tagged Awards, Scottish Home Improvement Awards, Winner.